Jill DeWit: And I’m Jill DeWit, broadcasting from sunny, smokey, southern California. Steven Butala: Today, Jill and I talk about … Or, I give experienced recession advice. And it’s not just me. It’s Jill, too. How many recessions have you been through? Steven Butala: Women are obsessed with being younger than they are. Steven Butala: You know, that’s what this show’s gonna be about. Why are women … There’s like three or four things that I will never understand about women, as long as I live. Steven Butala: Anyway, you were watching a show? Steven Butala: It’s just silly. Steven Butala: Jane Fonda, of all people. Steven Butala: I know. She always has been. Jill DeWit: She’s probably 70. Shucks. Steven Butala: She always has just looked like … Every time I see her on TV or whatever, I’m like, geez. Jill DeWit: Yup. Yeah. It was kind of funny, so. We should move on to another topic. Because this is probably the least favorite topic for most women, is talking about our age. Jill DeWit: Thank you. I’d rather talk about my … A lot of things. Steven Butala: Like what? Like what? Finish it. Jill DeWit: I’d rather talk about how my jeans fit than my age, almost. I don’t know why. Steven Butala: Like you said, that’s … Why? Is it biological? Steven Butala: Because everybody I’ve ever talked to is the same way. Steven Butala: But why do you care? Steven Butala: Why do you care about wrinkles? Jill DeWit: I don’t know. It’s just something. It’s a girl thing. Steven Butala: I swear to God, you get better looking with age. Steven Butala: I’m not joking. Jill DeWit: Yeah, I don’t know. It’s a girl thing. But anyway. Steven Butala: I think it’s biology. Steven Butala: All right. Guys have stupid stuff, too. Steven Butala: Well, my muscle mass is rapidly decreasing every year. Steven Butala: I’m not happy about that, but I can control that. I understand your control point. Steven Butala: No, you’re right. I can’t think of anything. Steven Butala: But, you know, it’s just like … I don’t know. Steven Butala: I guess I can control everything. And the stuff that I can’t control, like getting older, and aging with memory loss, and all that stuff … Not how I look. I don’t care about that, obviously. It’s all dual gender. Jill DeWit: Why do you say “obviously”? You look great. Steven Butala: Because I don’t … I’ve got a tee shirt on. Steven Butala: You know what? At this age? Honestly, I never really did care about how I look. I’ve always considered myself as, like, one notch above average. And I’ve always been happy with that. Jill DeWit: Is that what you strive for? Jill DeWit: “My goal is to be a solid six.” What the heck? Why would you … Well, Steven, you’re nailing a six. Congratulations. What the heck is that? “One notch above average”? That is very far from my goal. Steven Butala: So, here’s the thing. If I have to worry about 17 things to accomplish, looking good is what? I have so small amount of control over that. No matter what I do, I’m gonna look plus or minus 10%. Plus 10%, or minus 10%, as good or as bad as I look. That’s what women don’t understand. Steven Butala: As gussied up as a woman can get, she’s gonna look 10% better than when she wakes up in the morning. Jill DeWit: 10% of nothing. Steven Butala: You know? And if she’s sick in bed with the flu, then that’s minus 10%. Steven Butala: That’s it. That’s the whole range. Steven Butala: So, I choose to build a balance sheet. That’s what I focus on. Steven Butala: My balance sheet is way more above average than my looks. Jill DeWit: All right. I have to say, your balance sheet looks good on you. All right. Steven Butala: What is this show about, anyway? Before we get into the topic, let’s take a question posted by one of our members on the landinvestors.com online community. It’s free, and as you’re listening, please drop your questions into the comments section below, on YouTube specifically. Steven Butala: That’s about right. Jill DeWit: That initially sounds awesome. Steven Butala: 100 bucks an acre. Steven Butala: These are all extremely positive things. Steven Butala: Do you know Walden? You know a lot of the newer members. Jill DeWit: I don’t know Walden. No, and I’m pretty … I’m not worried about this. Steven Butala: No. It’s the greatest thing ever. Steven Butala: Having an old, broken down trailer on a piece of dirt that you’re gonna buy, in most cases is an attribute. It’s a really positive thing. So, you got that going for you. It separates that … When you take a picture of that, it separates your piece of dirt from everybody else who’s got any kind of rural, vacant land in Elko, Nevada. Steven Butala: This easement business, of the road eroded away, but you can sort of see it? We buy property like that daily, and so does everybody else in our group. So, that’s why I think Walden’s either part of our group, or he’s not. But he’s brand new, if he is. Jill DeWit: Right. I love it. See, it sounds like he’s checked all of the boxes, and he’s just kind of double checking. Because everything sounds great, and I think he’s just making sure, “Am I missing something here?” These are the only two hangups? This is awesome. Buy it. Steven Butala: It’s not a hangup. Jill DeWit: It’s not a hangup. Jill DeWit: You’re doing everything right. Steven Butala: … and you’re checking boxes, and asking if you’re doing the right thing on landinvestors.com, which is what you’re supposed to be using the site for. Steven Butala: It’s all positive. I love it when the questions are easy and positive. Steven Butala: Never happens. And we agree. Steven Butala: How fun is that? Steven Butala: Let me set this up. All right? Steven Butala: I’m watching new housing prices … Not new housing … existing housing prices, month over month, slightly erode. And while I’m not looking into a crystal ball, and I’m not an economist or any of that stuff, I’m telling you: There is a downturn. This is the beginning of a housing downturn in this country. That, coupled with the stock market losing some value and stuff … Not that that matters to us at all. It’s just a perception, a universal perception. Steven Butala: So, while unemployment and all that stuff has really remained strong, people are not buying houses, and they’re not scattering to pay the asking prices for houses, month over month, as they were three months ago, and it doesn’t seem to be part of a normal annual cycle. So, I’m just saying … Your Spidey sense should be tingling. I’m not saying stop what you’re doing, oh my gosh. I’m not saying the sky is falling, or any of that. I’m just saying it’s an indicator, one of many. New housing starts are slowing, also. Go ahead, Jill. Jill DeWit: That was my first point. My first point was it’s coming, and how to track it. Are there other ways to track it? Steven Butala: Yeah, look at new housing starts in the market where you’re buying and selling real estate. And I mean new housing permits, for brand-new properties. See if they’re up or down, or look at days on market. If you look on days on market for existing sales, they’re getting a little bit higher. If last month it was 30, and this month it’s 35 days, and four months ago it was 22 days, and four months before that it was 12 days … These are actually real numbers for Seattle … That’s a good indicator that there could be some issues. Is it gonna crash like last time? No, not at all. But the further ahead you can see this thing coming, the more you can prepare, which is really what this episode’s about. Jill DeWit: I was going to say, as a positive thing … I want to ask you about, too … What? You like my happy faces? Steven Butala: Yeah. You should show the camera. Jill DeWit: My notes? I’ll show you my notes. Here’s my notes. It’s shows. Here, because for the people [inaudible 00:09:07]. Steven Butala: Because Jill’s 12. Steven Butala: Yes, which you should never do. Steven Butala: Never do it, in the greatest of times. Jill DeWit: Can we talk about the positives first, and then we’ll talk about the negatives? Jill DeWit: How much cash do we have? What do you recommend, please? Steven Butala: In a perfect world, you would never own a piece of real estate. You would buy it, and sell it a second later. You would own it for a second. That’s the business that Jill and I are in. We’re not in the business of, you know, buying land in the growth path and waiting. All these old cliches about land are all stupid as hell. In fact, they probably never were right. The only cliché you need to understand and realize about land is, buy it cheap. Buy it less than it’s worth today. Don’t pay market value and wait. That’s the silliest thing I’ve ever heard. Buy it cheap now, and resell it immediately. Steven Butala: So your goal should always be, not just in a recession or heading into a recession, to liquidate. You should want to sell it fast. Fast, fast, fast. Houses, too. All real estate. Unless you’re in the institutional investment business, where you’re buying property to lease and clean up and then resell, the hold period should be very, very brief. Jill DeWit: What if I’m an investor, and I have built up a portfolio of seller-financed or term sale properties. What would you recommend for me? Steven Butala: Okay, so what’s gonna happen is this … Now I do have a crystal ball in this stuff, because I’ve been there. Steven Butala: And other people have been there, and we’ve met at these live events. At our live events and other live events. And everybody says some version of this: “Yeah, I had $25,000 in payments coming in a month, and it eroded. 50% of it eroded.” So, you will see a 50% decline. They’re gonna drop off. They’re gonna stop paying. Steven Butala: Here’s the good news: You still own the property. So, you just resell it. Maybe you resell it for cheaper. Chances are you got your money on it already, because they’ve been making payments, and they just dropped off. So you’re gonna win there, too. You just keep it on the market, though. 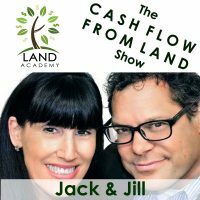 Jill DeWit: What do you recommend as far as property versus cash? What percentage … I see it coming … How much cash should I have sitting available, and how much property should I have sitting available? And I’m assuming you have a reason why I want this cash sitting available. Steven Butala: Yeah. And this is not recession-specific. This is always. You should always have very little of both. You should have all your cash working for you in some acquisition process, and you should theoretically have a property sold within a week of when you buy it, or preferably before you buy it. “Well, Steve, how the hell do you do that? 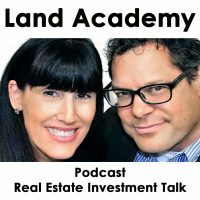 How do you manage to constantly own no property?” You need to have buyers in your back pocket, which is what Land Academy 2.0 is all about. Or not all about, but that’s a pretty substantial part of it. Steven Butala: You need to be taking orders for home builders, and for infill lots, and other wholesalers, so you just sell the property immediately. Jill DeWit: What do you think about having cash on hand … Because this market takes a little bit of a dip. Because it will, at some point. We know that … to use it to buy property even cheaper? Steven Butala: Yeah. I mean, here’s what happens. In a recession you buy it cheaper, but then you sell it cheaper. The retail-slash-public doesn’t buy as much real estate during these times. But we’re all investors here. So, yeah. Steven Butala: I mean, there’s always huge capital amounts available during a recession, so if you yourself don’t have that much money … And this goes for any time, too. The more I talk about this right now, the more I’m realizing that these recession practices, or pre-recession practices, are really just the same thing that you should be doing anyway. Steven Butala: But you should lower the price that you’re buying real estate for dramatically. Steven Butala: We were buying $200,000 houses for $25,000, Jill and I, in the last recession, and reselling them for $60,000. Jill DeWit: I would like to add, on a personal note, getting your own personal finances in order. You know what? Steven Butala: That’s the killer. Jill DeWit: Thank you. That’s it. This is all about, what we talked about so far was as a business. You know, as an investor and what you’re doing with your business, and being ready for it. But what about your personal life? Don’t get these credit cards. If you don’t have these credit cards paid off, hurry up and get these stuff paid off. You know what? Steven Butala: That’s the best advice ever. Jill DeWit: Man, make sure your cards are paid off. Do we really need that $500, $600, whatever crazy amount it is, car payment? Do we really need that? Especially if you’re an investor working from home. So, think about that. Buy a car for cash. Let’s be smart. You know, let’s get rid of these credit cards. Downsizing is not crazy. I mean, we’ve done it many times, and now I won’t go back. We look at this. When we personally look at properties, we know what we can afford. We look at these big ranch properties. I’m like, “What would I do with that?” It’s stupid. Jill DeWit: I don’t need eight rooms I’m not gonna go in. That’s dumb. I don’t want that. Steven Butala: Here’s how I live my life, along the lines of personal finance … I assume I’m gonna wake up tomorrow, and half of my revenue is gonna be gone. And I’ve been doing this since I was in accounting. Let’s say my salary got cut in half. I walked in, and … Can I afford my rent? Would it change my lifestyle at all? And the answer is no. And so, that’s the best piece of advice, from a personal standpoint. You know, from an old guy to young people. If it all comes crashing down, and you’ve got half of it coming in, or even let’s say 30 or 40%, if it’s gonna change your life at all. Steven Butala: Or do you have a plan? If that happens, just have a plan. Jill DeWit: You’re right. That’s perfect. Steven Butala: But Jill’s right. You know, [inaudible 00:15:32] debt is just silly. Steven Butala: That’s not good. Jill DeWit: Back now to my unhappy face on my notes, which is things you shouldn’t be doing, from experienced people that have been through recessions. Don’t take on new debt right now. Don’t be running out. You know, even though the interest rates are awesome, and you can afford it at your job, you know … Don’t be doing that stuff, please. Steven Butala: “Well, what do you mean, Steve?” You just said the only way you can go grow and scale your business is to take on debt.” No, I didn’t. What I said was, you find … It’s taking on a partner. You find a great deal. You don’t have the cash. It’s a $25,000 deal. You know it’s worth 50,000 bucks, easy. You go on to Land Investors, talk to the people there, and say, “I’ve got this great deal. It costs 25,000 bucks. I know it’s worth 50,000. I’ll get in. We can get in [inaudible 00:16:21] it in 35 minutes.” So you take a partner on, and you split the proceeds. They fund the whole acquisition, it goes as planned, and you guys split the $25,000 profit. “Oh, Steve. That’s awful. I’m gonna leave $12,000 on the table.” That’s 12,000 bucks you’re never gonna have. Steven Butala: Somebody told me a funny saying recently. It said, “Do you want … ” It has to do with grapes and watermelons. I heard it in a movie. Jill DeWit: Grapes and watermelons? Jill DeWit: All right. I haven’t heard that one. Steven Butala: Do you want half of a watermelon, or none of a grape? You know? Jill DeWit: All right. What you can afford as a grape, and what you can afford with the watermelon. I like that. Steven Butala: You as an investor, a brand new investor or a seasoned investor, and let’s say you have 5,000 bucks in the bank. This is what happens. I see a lot of new people do this. I did this when I was brand new. I’ve got 5,000 bucks in the bank. “Well, I guess I can only afford $5,000 worth of property.” No. You can afford $100 million worth of property right now, if you know how to buy it cheap. Steven Butala: The whole key is to learn how to buy it cheap. Go out into our group on Land Investors, and say, “I’ve got these 35 great properties.” I’ve been tracking deals, and I’ve been tracking a deal with some new members that are shining stars. This guy found, on the East Coast, a $250,000 property. Doesn’t have the cash. Who cares? Gets another guy in our group to fund the whole thing, and they’re gonna make about two and a half million dollars together. So, you have to start thinking that way. Forget about the money. Jill DeWit: All kinds of crazy debt. Steven Butala: … and then you’re all stressed about that. Then you can’t go to work, can’t get the deals done. That’s the real problem, is your personal stuff. Jill DeWit: Exactly. Yup. Be smart. Be prepared. Thank you. Steven Butala: Well, you’ve done it again. You’ve spent another 18 minutes or so listening to the Land Academy Show. Join us next time, where we discuss the MLS, Multiple Listing Service land listings, the pros and cons of that. Jill DeWit: “One notch above average.” You will never hear a woman say that. Steven Butala: I wonder why that is. Jill DeWit: Oh, sweetie. Sweetie, sweetie, sweetie. I’ll help you later. Steven Butala: I’ve always wondered what that is, with this aging thing. Jill DeWit: Oh, gosh. Please be sure to hit the subscribe button, to stay up to date on our podcasts. Like us and comment on what you would like to see in future shows. And if you’re listening on iTunes, please rate us there. We are Steve and Jill.